I really like living in Ottawa – it’s such a lovely city. Some say it’s a boring snooze-fest government town but one of the things that makes this city great is its thriving social media scene. There is always something going on – be it a tweetup, a meetup or some other event that celebrates the awesome community spirit of this city. If you’re at all tapped into the social media scene here you know how supportive it is. 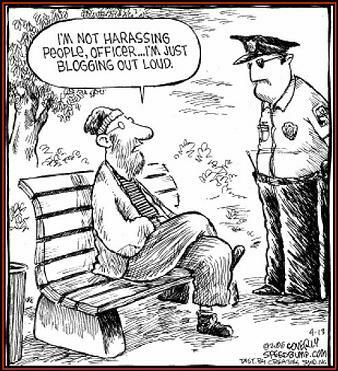 People genuinely care about whatever cause you are championing, bad luck you are lamenting or foolishery you are pointedly mocking (especially if it’s your own). There are two upcoming Ottawa social media events I’m really excited to be a part of. The first is Blog Out Loud Ottawa (@bolottawa) taking place on June 14th. This is the fourth #bolottawa and I will be one of twenty-one bloggers reading their favourite post from the past year. I can’t tell you which post I’ll be reading (it’s a surprise) but I can say how genuinely honoured I am to be a part of this event. Ottawa has a long history of high-tech innovation and this community is wired to connect, share and learn. As a speaker at last year’s Social Capital Conference, and a member of the 2012 conference organizing committee, I’ve had the privilege to see first-hand how truly, awesomely smart this community is. 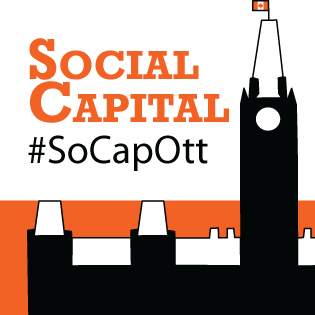 Have you seen this year’s lineup of Social Capital Conference speakers? Seriously, rocking. 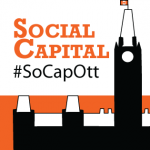 – The second annual Social Capital Conference takes place Saturday, July 21st. – Its all about celebrating the talents, successes and creative diversity of this city. – It brings together some of the industry’s most engaging adventurers with an audience of social media pupils, both intermediate and advanced. – Promises to be a valuable day of learning for those utilizing social media for personal, professional, corporate, and public service purposes. Interested in attending? Early bird tickets are a steal at $99. But only until May 31st! So what are you waiting for! Get your tickets now. So…are you planning to attend either of these events? Let me know – I’d love to say hello to you in person! I am so happy you were chosen to read at BOLO and I am so sad I won’t be there 🙁 BOO for me. I am at a wedding in Toronto that weekend. And I am going to miss SOCAP as well. Frig, this is not my year.